The AmazonBasics Automatic Travel Umbrella, with Wind Vent: The Perfect City Umbrella? 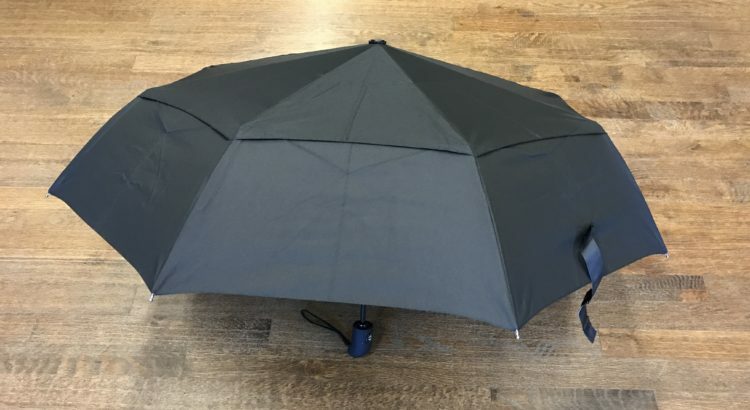 The AmazonBasics Automatic Travel Umbrella, with Wind Vent, Black is a fantastic umbrella, not just at the affordable $15.99 price point. For some background, I live in New York City, where cheap umbrellas are plentiful. For years, I would buy $7 umbrellas from the local bodega and just replace them if they broke or I lost them. I must have gone through 4-5 umbrellas a year and recently after the last one broke I decided to look on Amazon for an alternative.